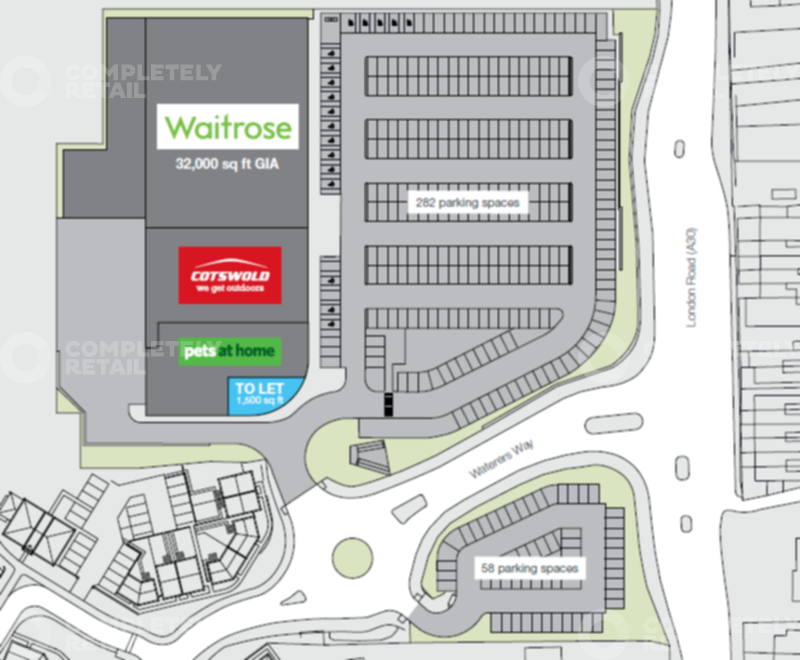 A 32,000 sq ft Waitrose (opened August 2015) and two non-food units let to Cotswold Outdoor (10,193 sq ft) and Pets at Home (7,502 sq ft) both of whom are due to open by the end of Q2 2017. Corner unit 2C, 1,500 sq ft with A3 consent recently granted. The unit can accommodate a mezzanine if required and could be suitable for alternative uses (subject to planning). The 51,500 sq ft scheme benefits from considerable frontage on to the A30 and is situated 0.5 miles to the south west of the town centre, forming the sole out of town provision with Bagshot.